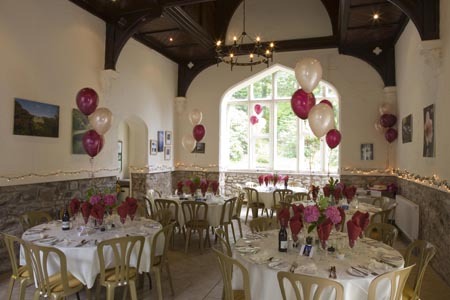 Lukesland Gardens and the tea room are available for hire for private events. From weddings to special birthday or anniversary parties to workshops or corporate events, Lukesland may offer the peaceful but accessible setting you are looking for. The new tea room includes a fully equipped kitchen and there is space on site for a marquee should you require additional space. Please get in touch via the contact form for additional information and rates. The new tea rooms offers a lovely space for local artists to exhibit their work. Our first exhibition will be displaying the work of Elaine Sibley. Elaine lives and works on the edge of Dartmoor. She studied at Plymouth College of Art and then the College of St Mark & St John where she gained a PGCE. She taught Design and Technology for 20 years while designing and making silver jewellery which she continues to sell through local galleries and open studios. Since retiring from teaching in2016 she has found time to experiment and expand her work and has developed a passion for painting. Her contemporary landscapes emerge from natural surroundings; namely Dartmoor and the local coastline. She is aware of the ever changing weather conditions on Dartmoor and attempts to capture the effect this has on light and colour in her paintings. She walks, sketches and takes photographs. Back in the studio she is currently enjoying the immediacy of acrylics and uses texture and a variety of tools to try to convey the mood and atmosphere of the place rather than a true representation. Are you an artist? Please get in touch about opportunities to exhibit at Lukesland.